PEI MAX 40K (also known as PEI 22K in free base) is a powerful, trusted, and cost-effective transient transfection reagent. In HEK293 and CHO expression systems, PEI offers consistently high gene expression on a wide scale (96 well plates up to 100 L bioreactors). Each year, more researchers and companies turn to Polysciences PEI to gain an edge in their critical work. Relative to most other options, using PEI to prepare transfection reagents in-house can offer as much as a 40% reduction in total transfection costs. PEI MAX 40K is easier to use and offers consistently higher titers than PEI 25K. PEI 25K transfection solutions typically take several hours to prepare, while PEI MAX 40K can be converted to a ready-to-use solution in under two hours. 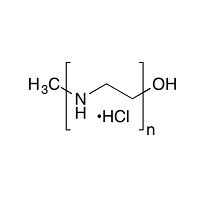 Additionally, PEI 25K contains 4-11% residual propionyl groups, which prevents the polymer backbone from strongly binding to DNA. PEI MAX 40K’s fully depropionylated structure means each batch performs consistently higher. Comparison of PEI 25K (#23966) and PEI MAX 40K (#24765). Method: 10e6/mL HEK293 cells in 50 mL FS transfected with IgG64 plasmid pair. PEI:DNA 4:1. Samples taken 120 hpt. Quantified with Thermo Fisher #23310. N=4 each. Error bar = standard deviation. A pre-made sterile-filtered solution of PEI MAX 40K is available as our Transporter 5™ Transfection Reagent. ** Longo, P. a, Kavran, J. M., Kim, M. & Leahy, D. J. Transient Mammalian Cell Transfection wtih Polyethylenimine (PEI). Methods Enzymology 529, 227–240 (2013). doi:10.1016/B978-0-12-418687-3.00018-5. Mann JF, McKay PF, Arokiasamy S, Patel RK, Klein K, Shattock RJ. (2013). Pulmonary delivery of DNA vaccine constructs using deacylated PEI elicits immune responses and protects against viral challenge infection. J Control Release. 170(3):452-9. Thomas M, Lu JJ, Ge Q, Zhang C, Chen J, Klibanov AM. (2005). Full deacylation of polyethylenimine dramatically boosts its gene delivery efficiency and specificity to mouse lung. Proc Natl Acad Sci U S A. 102(16):5679-84. ** Contains particularly useful information.